The Garage Blume + Brummell Kitchen -double shot. Up your cool factor and visit this studio off the beaten-track. 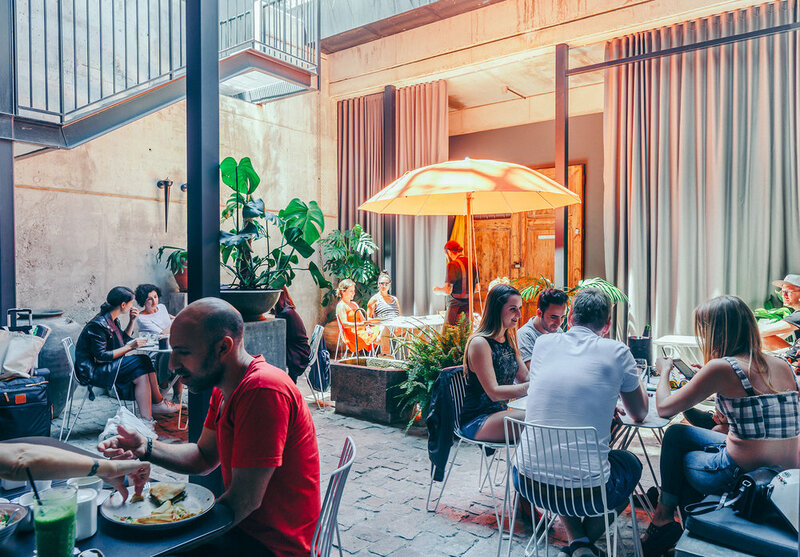 Devour Sunday brunch next door at a hidden courtyard haven. START: The Garage by Veronica Blume, Carrer de Magalhães, 2, 08004 Barcelona. FINISH: Brummell Kitchen, Carrer Nou de la Rambla, 174, 08004 Barcelona. THE WORKOUT: 9.30am Saturday Hatha Vinyasa with Elise. Adventure into the unknown. On a quiet street in the heart of the city lies The Garage by Veronica Blume (Veronica being the founder and ex-model who set up the sttudio). Walk inside this formed 1940s garage and find this oasis of calm - all white-washed walls, exposed brick and leafy green plants in a light, airy and bright space. It’s got the whole “urban retreat” vibe nailed. This weekend vinyasa class fuses static and dynamic sequences together in a flow of standing poses, twists, forward folds, inversions and back-bends. Elise has her teachings based in Ashtanga yoga and Sivananda roots which makes her classes strong and physical but balanced with some introspection. Work up a real sweat and fire up your muscles, so when you get to Savasana sleep time you can truly switch-off. The easiest (and nicest) way to transfer from hectic work-week into peaceful weekend we say. FYI: The studio also hosts regular acro-yoga, partner and special workshops which look pretty fun too. THE PRICE: A drop-in class is €15. First-timers can pay €20 and get three classes to use in seven days. Brummell Kitchen Weekend brunch spread: Sweet Pancakes €7, Yoghurt with granola €4.5, Acai bowl €9.5, Huevos Rancheros €11, Eggs Benedict €12, Arepas €12, Enchiladas mexicana €11. Juices range €4.7-5.5, Cocktails €5-9. Coffee: Flat white €1.8 (bargain! ), Espresso €1.4, Tea €2.5. 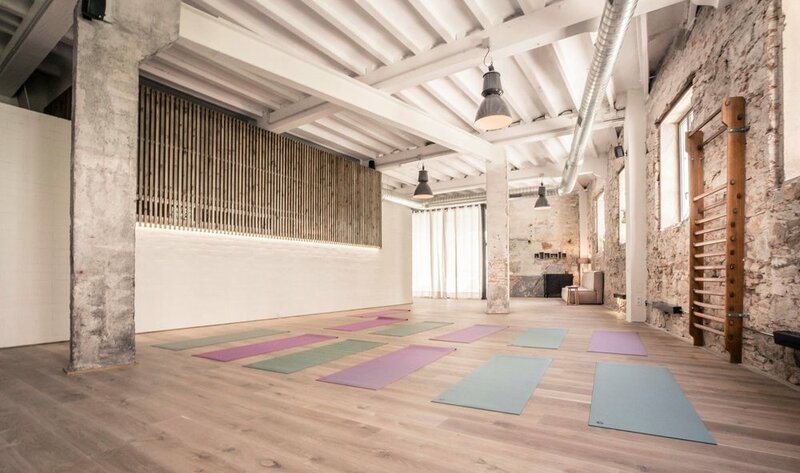 BEST FOR: For cool yoga points, discovering an urban oasis off the beaten track and weekend brunch vibes. Sophie Heywood 28 February 2019 Kaymana, Carrer de l'Almirall Aixada, 21, 08003 Barcelona.